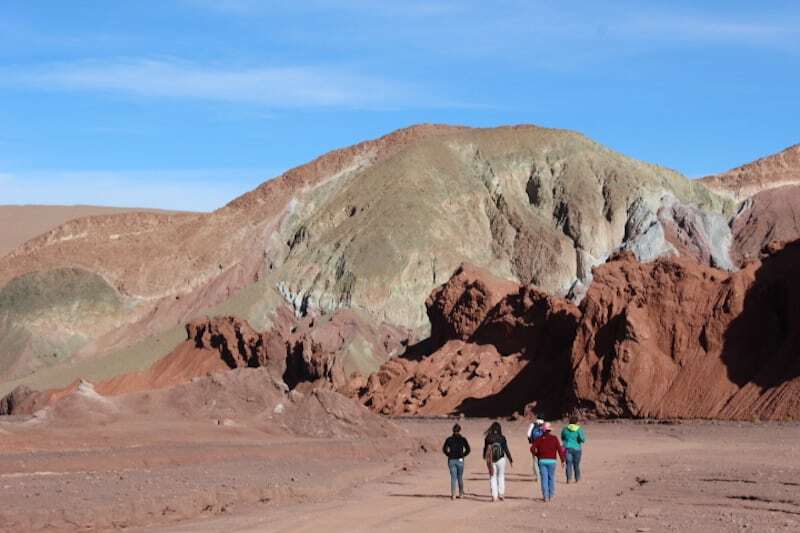 As part of the Unknown Atacama programme, you’ll explore stunning parts of the Atacama Desert, located at the northern tip of the country and 3,000 meters above sea level. 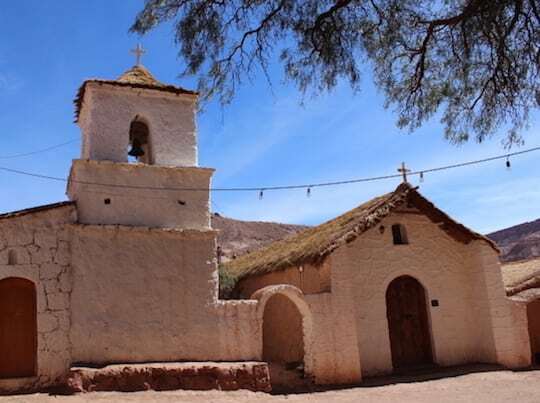 The region has one of the most fragile, inhospitable ecosystems of the Andes thanks to its low temperatures and extreme dryness – but there is an oasis in the middle of the desert, and its name is San Pedro de Atacama. 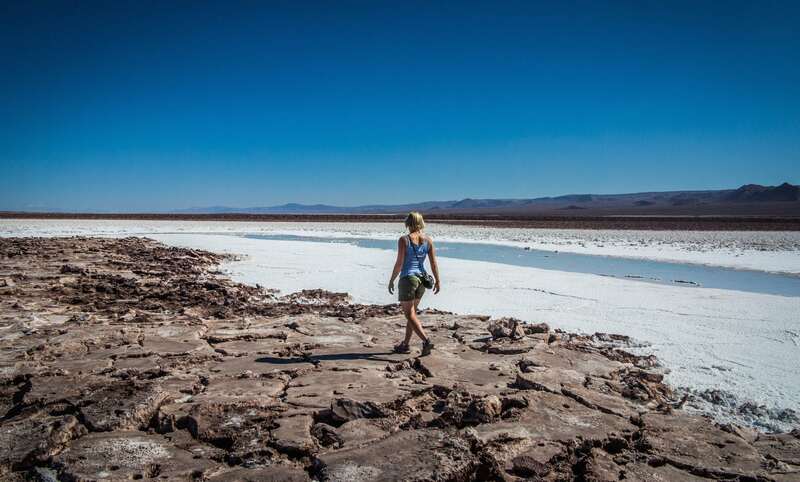 You will be staying in this town and will visit it some of the most remote surrounding areas such as the high plateau lagoons, the Tara salt flat, the Rainbow Valley, the Yerbas Buenas petroglyphs and the Puritamas hot springs. 5 San Pedro de Atacama and Santiago Airport Santiago arrival . 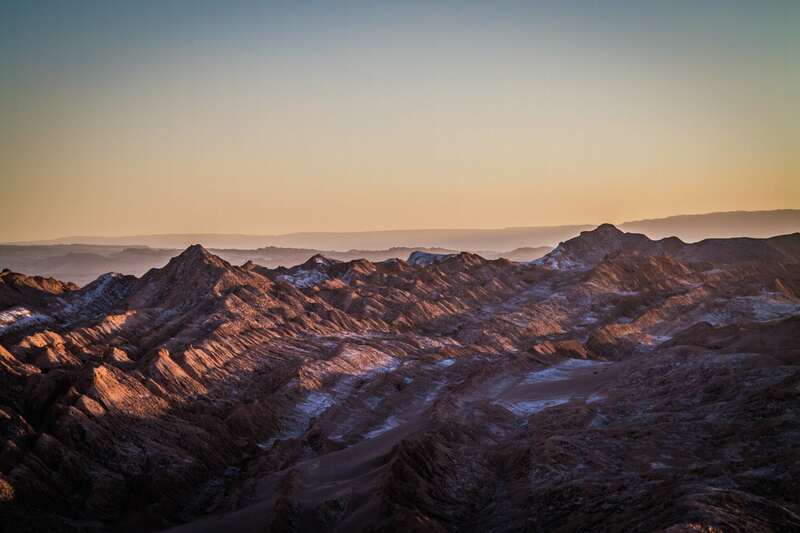 The first day of the programme will begin when you reach Calama airport, where a local guide and driver will be waiting for you at a previously agreed time. 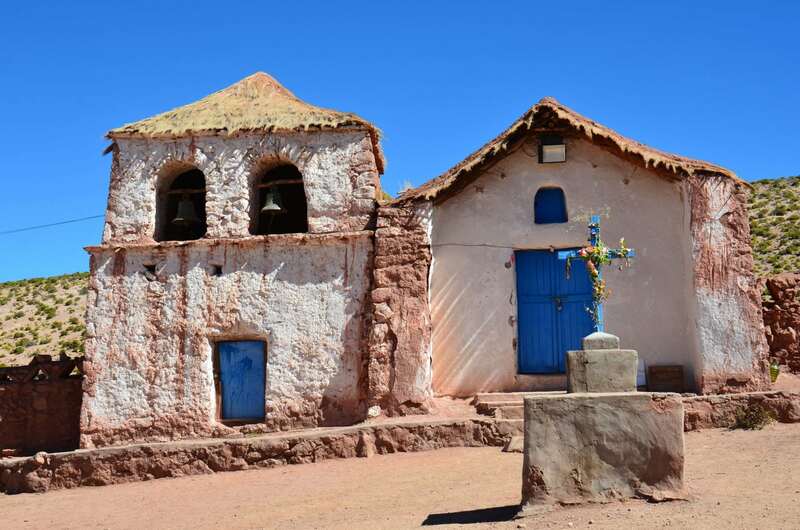 Once you are in the van, you’ll head for the town of San Pedro de Atacama, chosen for its rich historic and cultural value. 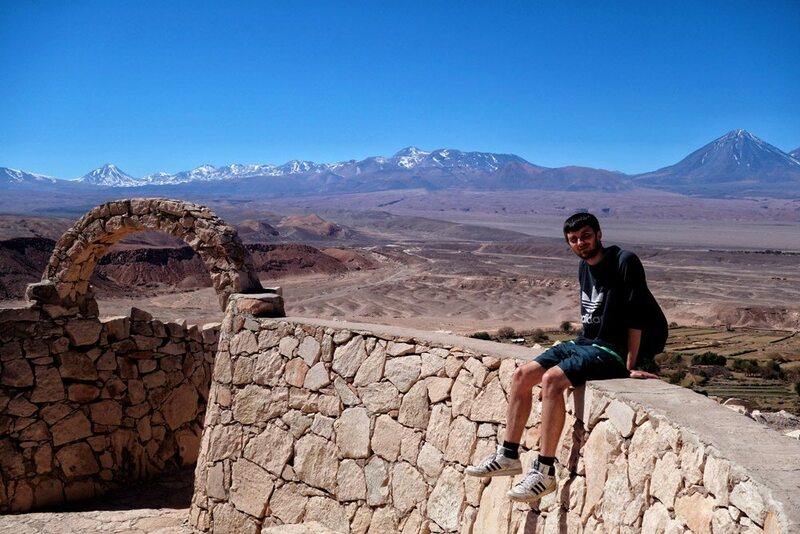 On the way, you will enjoy views of the Atacama Desert, color-changing hills, beautiful landscapes and the sensation of utter silence!. When you arrive in the town, your driver will drop you at your hotel, where you’ll check in and then have some free time to explore the town and surrounding areas, rest, and enjoy the area’s delicious cuisine. The day will start with a half-day private tour towards Rainbow Valley. There, you’ll see a collection of hills and hillocks of varying sizes and colors, produced by wind and water erosion and concentrations of different minerals. 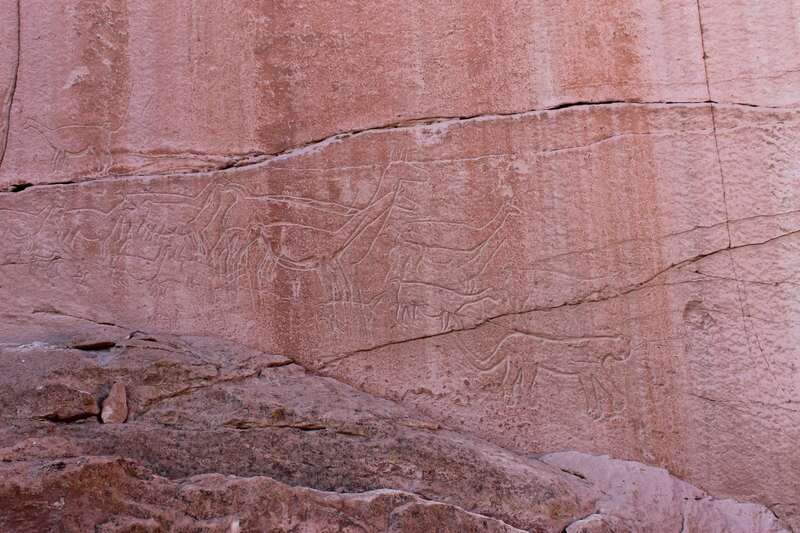 That morning, you will also visit the Yerbas Buenas petroglyphs; drawings on rock formations considered to be the main cave art attraction of the San Pedro area. You’ll get to learn some of the history behind each drawing, as well as about the old llama caravans that ferried goods between the salt flat and coastal zone; it was the riders who left behind these amazing paintings. Finally, the tour will end with your return to San Pedro around midday. 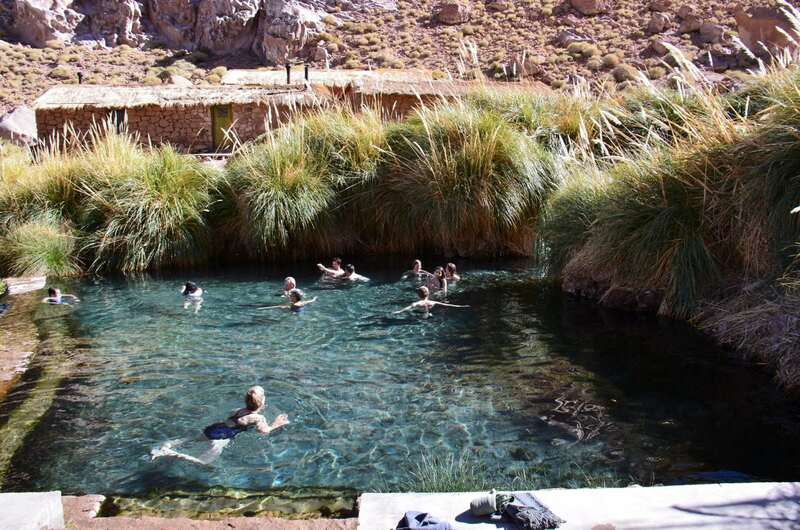 After lunch, your second private tour – to the Puritama hot springs – will begin. 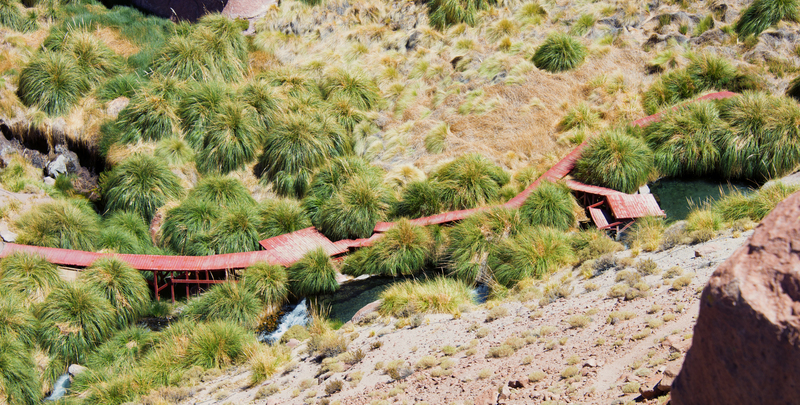 These are located in the middle of the high plateaus of Chile among rock ravines 35km outside San Pedro. You will be able to reap the benefits of eight thermal pools, with temperatures fluctuating between 28 and 31 degrees and containing minerals such as calcium, magnesium, and sodium, which can help with stress, arthritis, fatigue and other ailments. There are also facilities to make your stay there an enjoyable and comfortable one. Once you have finished relaxing in this amazing desert setting, a guide will be waiting to take you back to your hotel. 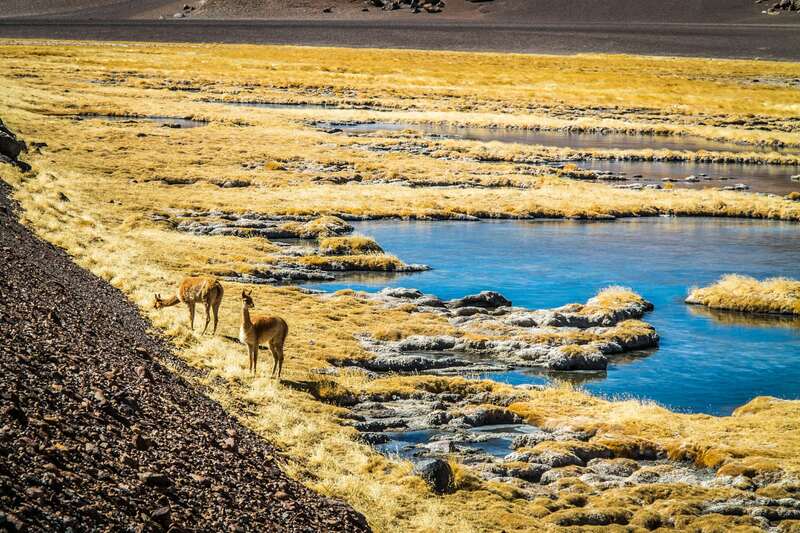 After breakfast, you’ll begin your journey towards the Chaxa high plateau lagoon in the middle of the Atacama salt flats on the Los Flamencos national reserve. Its shallowness makes it the perfect place to view flamingos and parinas whose bright pink color stands out against the backdrop. 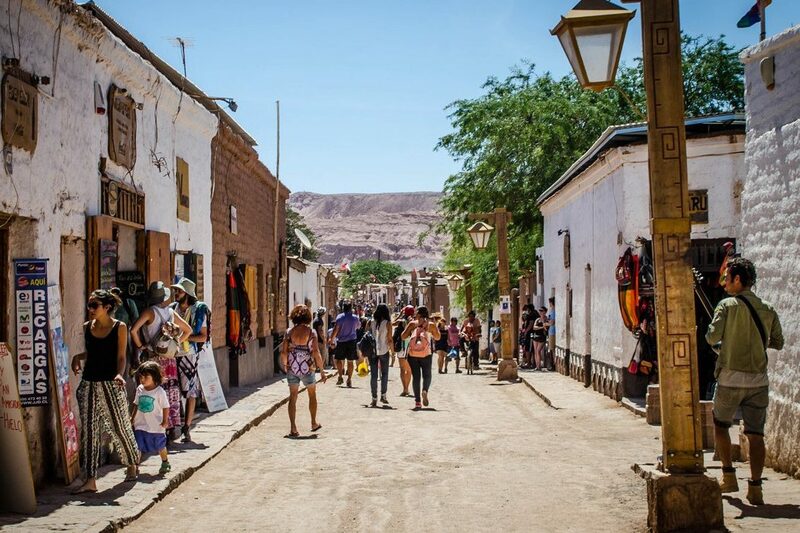 Once you’ve explored, you will stop off for lunch in the town of Socaire, a hillside village famous for its historic heritage church. 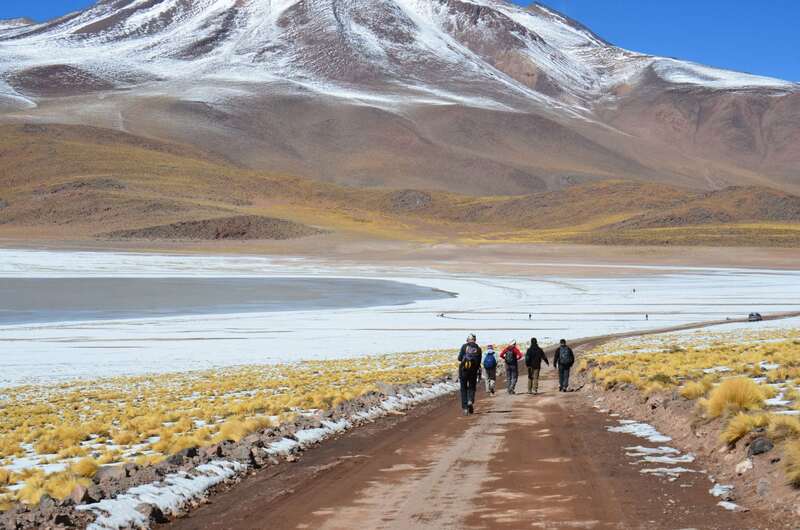 When you have had lunch, your journey will continue towards the high plateau lagoons of Miñiques and Miscanti, located at 4,200 meters above sea level and at the foot of two towering volcanoes. 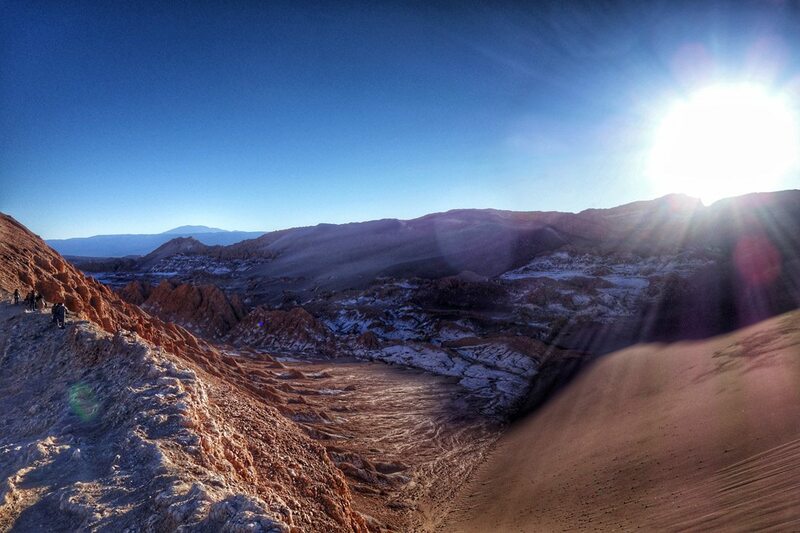 Here, the landscape is a melange of mountains, lagoons, desert and ice caps, due to the area’s low temperatures. 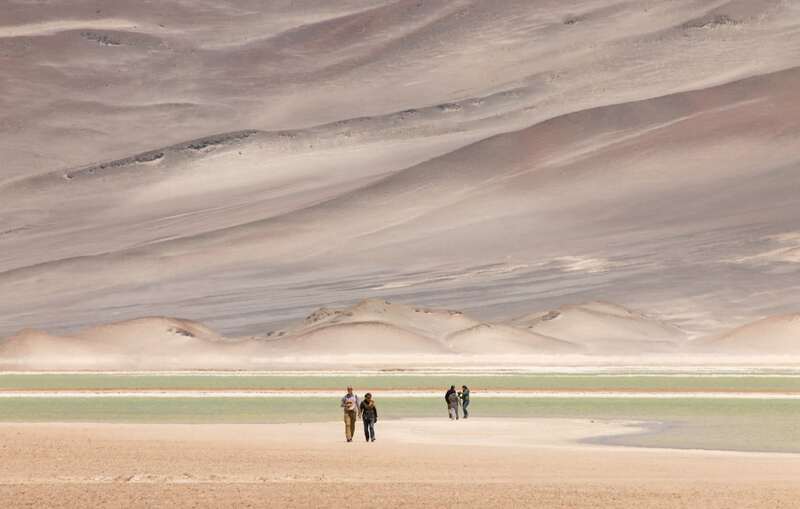 The last lagoon you visit will be the pristine, unique Piedras Rojas, known for its turquoise waters and reddish hills, stained rust by iron. 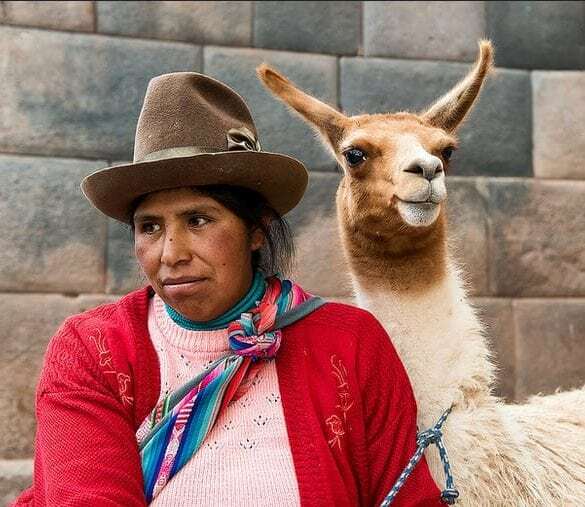 Finally, you will visit the colonial town of Toconao, built from volcanic rock and offering up the perfect agricultural conditions and rich Andean handicrafts. This incredible journey will round off with your return to your hotel at around 6 pm. 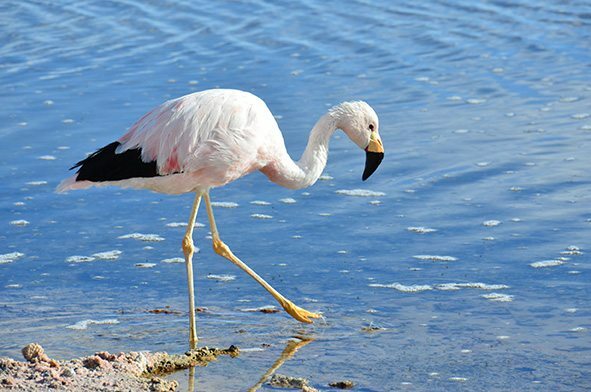 On day 4, you will visit the Tara salt flat, 120km outside San Pedro on located in the Los Flamencos National Reserve. It is considered to be a high wetland thanks to its large salt flat, lagoons and water meadows. 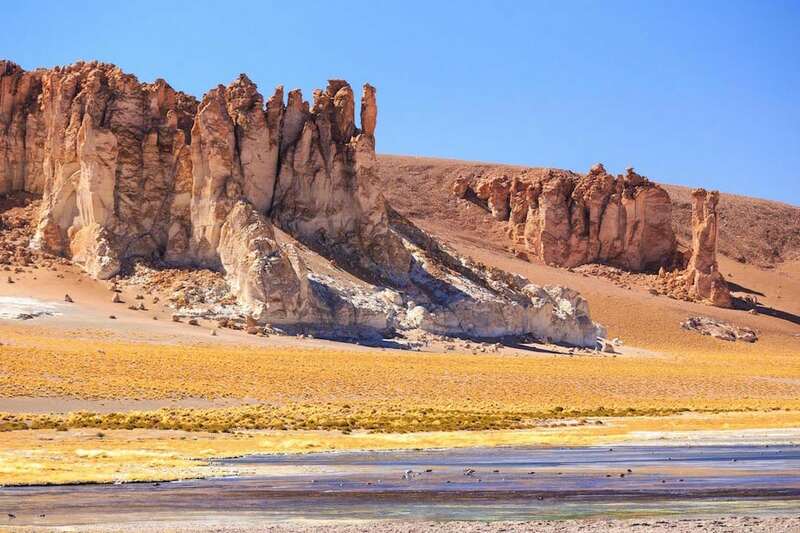 It also boasts a series of geological attractions that shape the salt flat’s relief and form volcanic structures and columns known as the Centinelas de Pakana, or the Pakana sentinels. They are the product of volcanic processes during the Tertiary period – rock formations which are still standing and make for an impressive view! 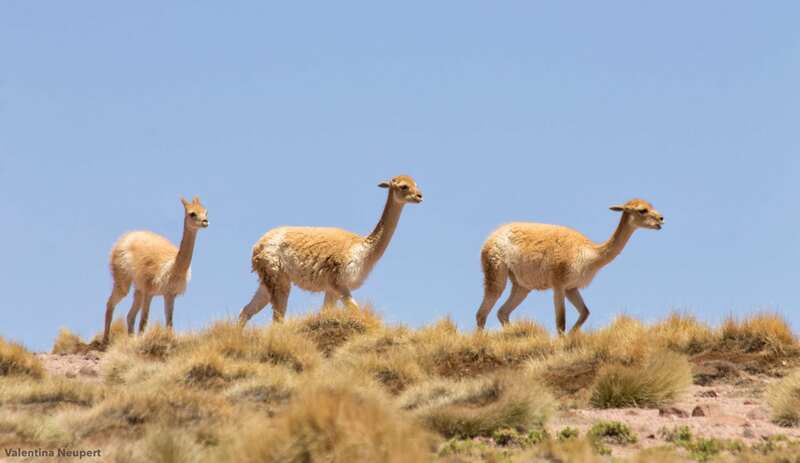 Once you arrive at this beautiful place, you will have a delicious packed lunch at a site chosen by your guide, where you can rest, enjoy the views, and spot some special wildlife such as flamingos, Andean gulls, ducks, and camelids such as the vicuña – it’s the perfect place to take some photos.